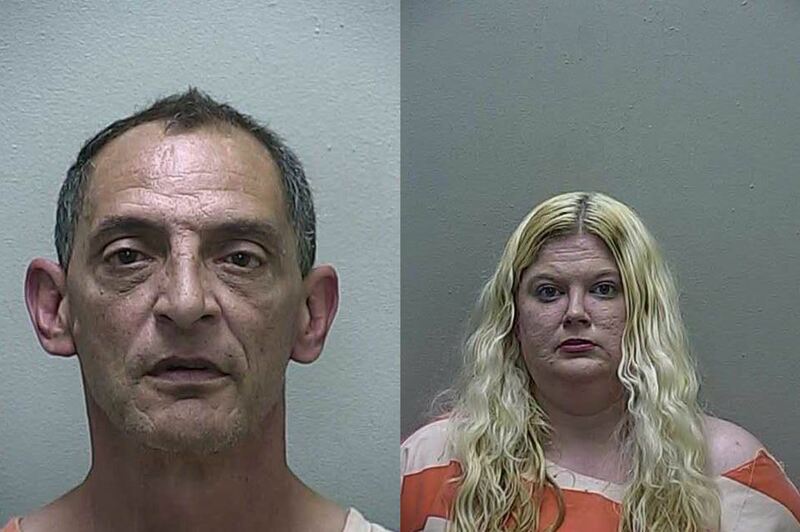 Ocala, Florida — Sheriff’s deputies arrested a husband and wife after an investigation revealed the pair were ripping off storage units. Deputies responded to the Neighborhood Self Storage at 4701 SE Maricamp Road, Ocala, after a victim reported her storage unit had been emptied. After checking surveillance video, deputies learned that the maintenance man, Clayton Lundy, 54, was stealing items out of the victim’s storage unit. Clayton also had his wife, Stephanie Lundy, 37, meet him at the storage facility with a van, which was used to haul the stolen items away. The assistant manger provided additional video that showed Clayton and Stephanie loading boxes into their van. What investigators saw on the video disgusted them. The husband and wife team had also used their three young children to remove items from the storage unit and load them into the van. After learning of the investigation, the Lundys’ discarded most of the stolen items in a dumpster. Those items could not be recovered because Clayton refused to tell investigators what dumpster he used to discard the items. However, deputies were able to recover some jewelry from the Lundy’s home. According to reports, despite video evidence, they both denied any wrongdoing and were uncooperative. During questioning, neither seemed to show any remorse for involving their children . Clayton Lundy has been the center of several criminal investigations in the past. He has never been convicted because each time a case was presented, the State Attorney declined to prosecute. Due to the Lundys’ involving their children, the Department of Children and Families was notified. DCF said they would document the incident, but a formal report would not be written. The Lundys’ were charged with Grand Theft, Destroying Evidence, and Child Neglect. They were released from jail on $6,000 bond each.